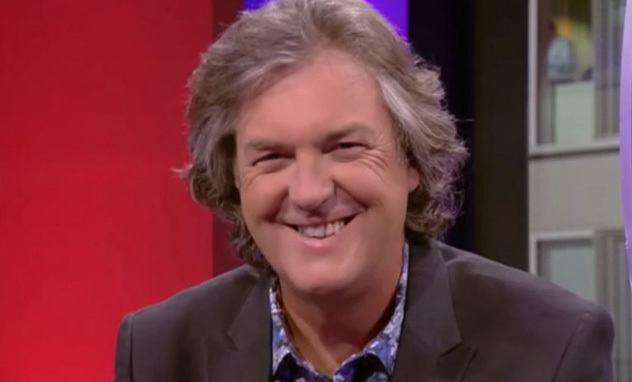 James May’s Man Lab sees James help viewers relearn vital skills that are in danger of being lost forever. 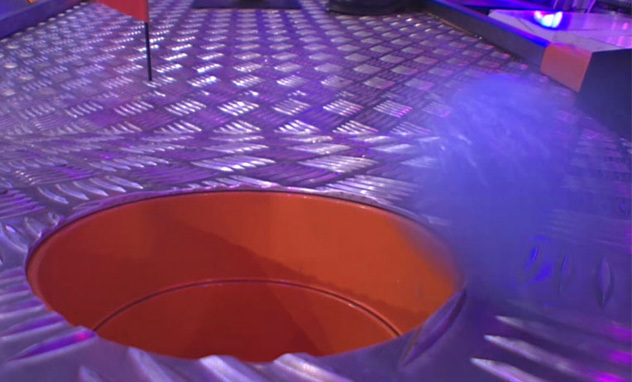 In the second series, James and his team set about performing action packed feats, teaching practical skills and creating wacky inventions, such as the wildest crazy golf hole ever. 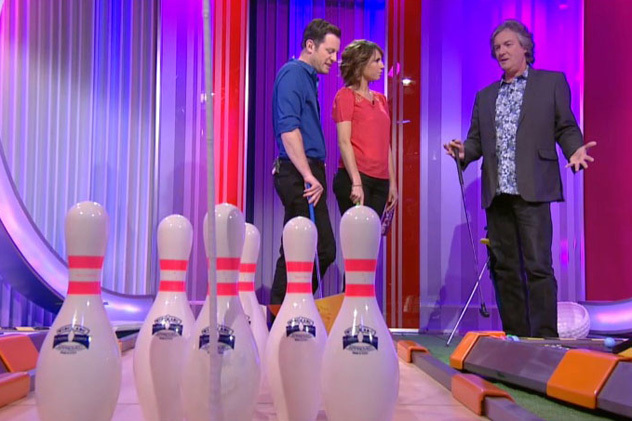 BBC1’s The One Show invited James May on as a guest on Wed 19 October 2011, and the producers knew immediately that to promote the episode about crazy golf, who better to come to than UrbanCrazy! 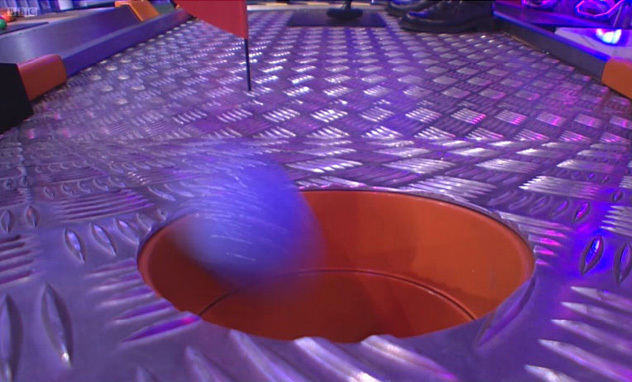 After all, when it comes to original, creative and high-quality crazy golf themes, we are the leaders in the industry. 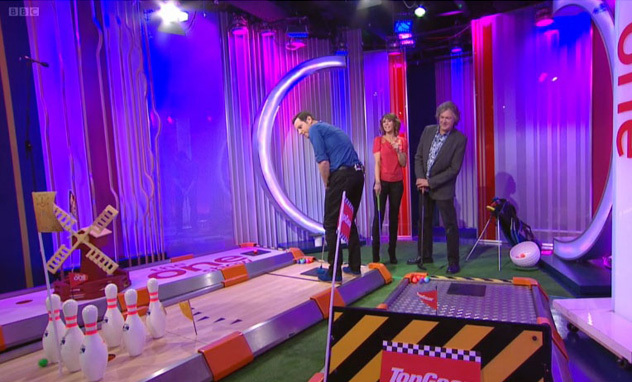 Over the years we have come up with more ideas for courses than James May has driven cars round a track! 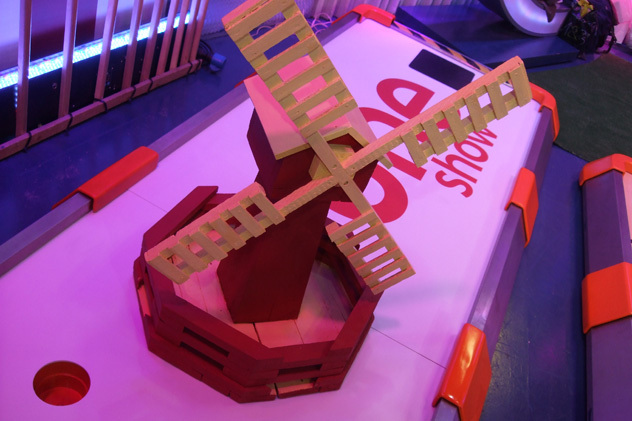 We took 3 of our funky Designer Course holes into The One Show studio, one of which was decorated with the show’s logo and a traditional crazy golf obstacle – a windmill. 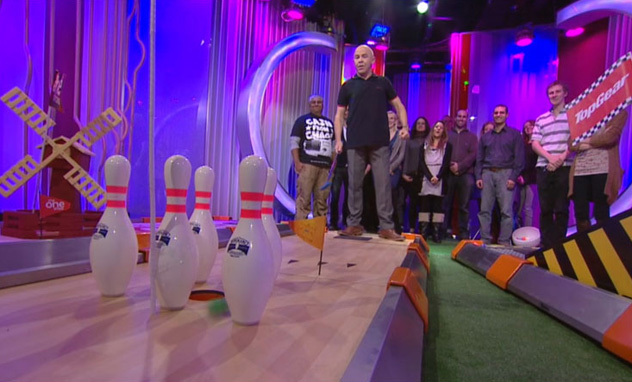 The course went down brilliantly. 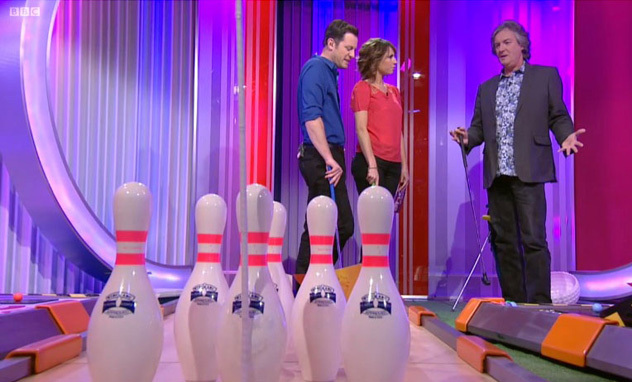 Presenters Matt Baker and Dominic Littlewood both had a go, as did James May who described it as ‘very sophisticated’. 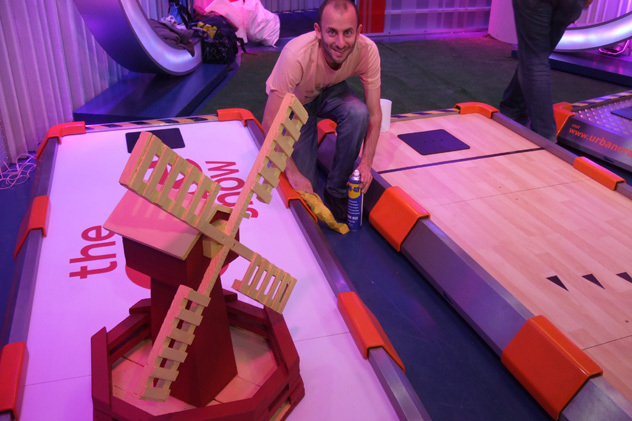 James believes that crazy golf can be therapeutic and “enliven the dull miserable lives of commuters and office workers” and all of us at Urban Crazy are in full agreement! 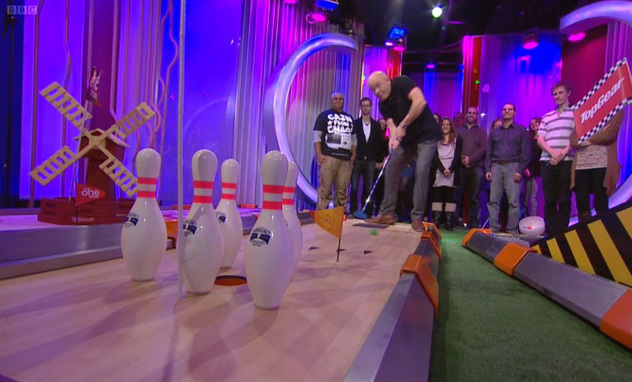 What better way to unwind, de-stress and have fun than play mini golf? 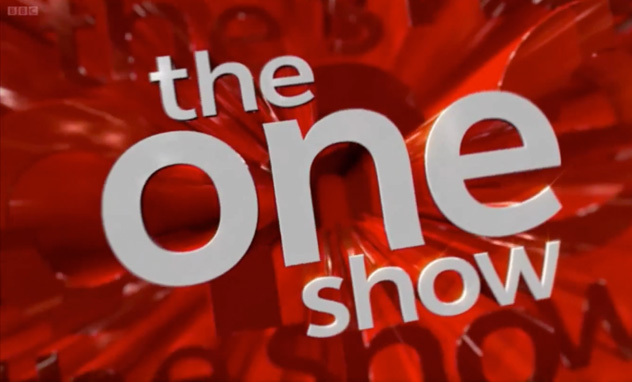 Click here to see a short clip of the show and on the main image (top right) to see some pictures. 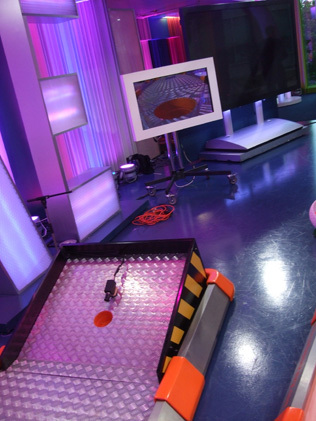 Since 2002 UrbanCrazy has been designing, building and hiring out bespoke and innovative crazy golf courses for all occasions, for people of all ages and backgrounds to enjoy. 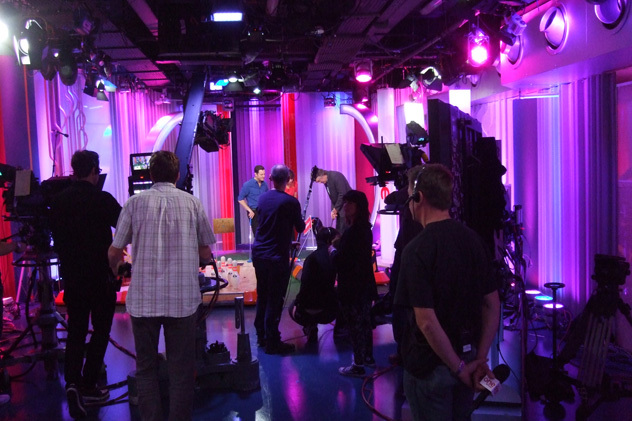 At events, our courses are always jam packed and bursting with energy. Take a look at our testimonials page for all the great feedback we receive. We hope to add you to this list of happy customers soon!